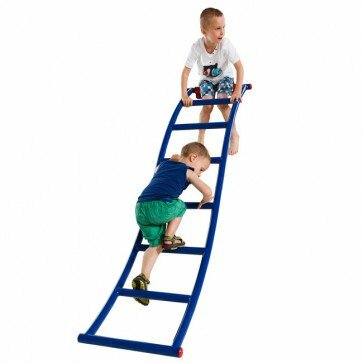 4 climbers in one depending on how the ladder is assembled. 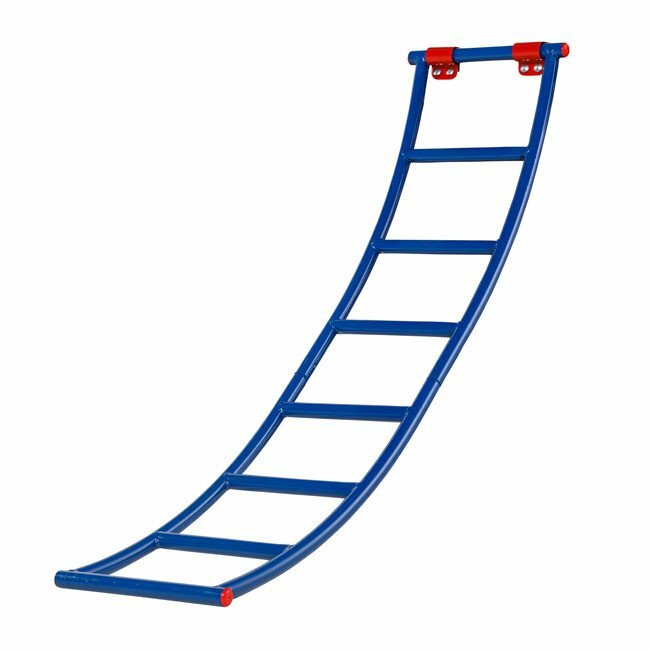 Suitable for platforms between 1.2m to 1.5m. 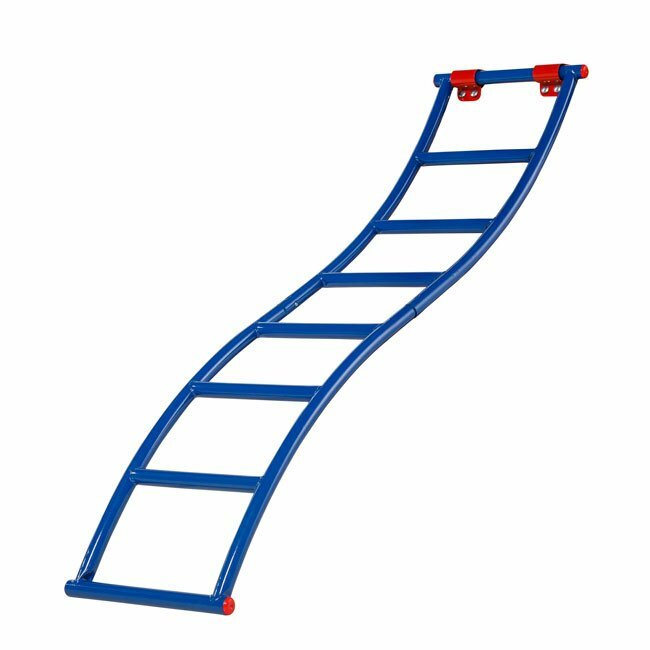 A fun acess ladder manufacture in blue powder coated steel supplied in kit form for self assembly complete with fixation shapes in the form of a hand shape. 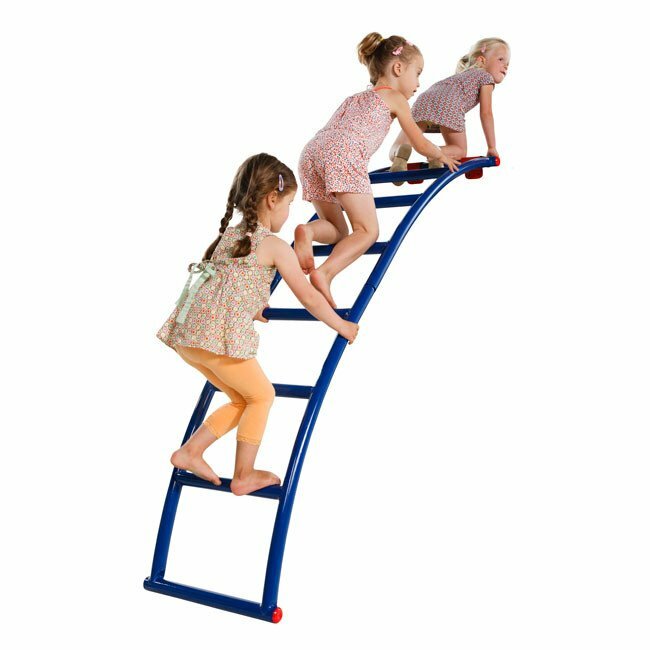 The ladder assembly can be assembled in one of four different ways either Arch, Bow or a combination of arch and bow. 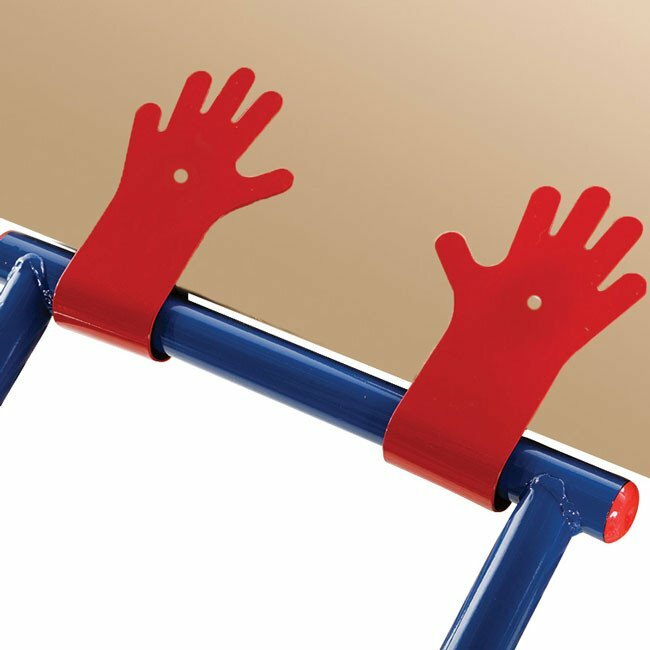 Diamensions: 1.043m long x 460mm wide and suitable for platforms between 1.200m and 1.500m.